What do you do when your website is under construction and you aren’t quite ready for launch? Whether you’re generating buzz to release a new product or app, or just waiting for a new website project to be ready, a coming soon page can be the fix. When used well, coming soon pages can help generate leads (with an email signup form) and drum up some interest for your website. A coming soon page can be a great promotional or marketing tool for certain types of websites. It can help you generate buzz for a new app or product – this is quite popular with app and software launches – or coincide with another marketing event, such as a Super Bowl commercial or online campaign. You need to create buzz before the full website is ready, and you do have a full launch timeline. Begin to establish stronghold on keywords and search related to your product or brand. You want to generate leads and collect information, such as emails to build a mailing list. (You want to let people know when you launch, right? You want to lead people to a prelaunch campaign, such as Kickstarter, before you start selling a product on your website. So what do you need to create a coming soon page that’s more than just pretty colors and pictures? You need components that will convert users into engagers. The best coming soon pages are simple and include one thing for users to do. Don’t try to provide too many options with a site design that’s just a teaser. Use actual branding, colors, typefaces and imagery that will be part of your site when it launches. Think about including information design elements such as a countdown timer to let users know when the full site – and associated product – will launch. A countdown or preorder form can help generate a lot of user interest and draw traffic to the site, engage users to turn into valued leads by proving information such as an email address and help get your website off the ground. 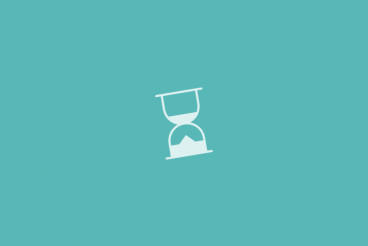 Just make sure that if you plan to include a countdown timer, the full site or product actually launches on schedule! Use actual branding, colors, typefaces and imagery that will be part of your site when it launches. The coming soon page should look like it is part of the design, not an afterthought associated with it. Because a coming soon page is a preview of things to come, it should be a one-page website design. There’s no need for multiple pages or links. Keep it simple and direct. Save all the content and design for the full site when it launches. Tell users what to do with the design. The most common coming soon page call to action is an email sign up form. Include a simple form – don’t ask for more than an email address – with a promise of early access or a special discount. These special offers can entice users to share contact information and increases the chances that they’ll interact with the design again in the future. Include a logo and brief description of what you are about. With a new brand or product launch, users need enough information to know they are interested in what you have to offer. Without some baseline information, forms or asks are unlikely to yield results. Before launching a coming soon page, make sure you know what you want the design to accomplish. The page should be dedicated toward getting users to take that action. Any other content should be eliminated or saved for the full website launch. How Long Should a Coming Soon Page Be Live? There’s no magic timeline for when to complete steps in the website launch process. It depends on what content is on the live site and when all features and functionality will be ready, as well as any associated constraints with products. But a coming soon page is not a permanent landing page. It should be a preview of things to come… soon! Users have no reason to interact with a coming soon page multiple times. For most users that means that the second time they are enticed by some sort of marketing material to go to the site, it should be live. Otherwise, you risk frustrating a user that doesn’t want to wait any longer and might look for a similar product or service from a competitor. You don’t have to spend a lot of time creating a coming soon page (although there’s nothing stopping you if that’s what you want to do). We do have a few awesome coming soon page templates to help jumpstart projects or to use as inspiration. Note: This collection of templates does include paid options. Not every new website design needs a coming soon page. Website revisions seldom need them. A coming soon page is best if you are launching something that users should sign up for in advance or for something that’s highly anticipated. Keep the design and messaging light and simple. Users won’t spend a lot of time on these pages and you want to entice them to do something before they move on to something else.